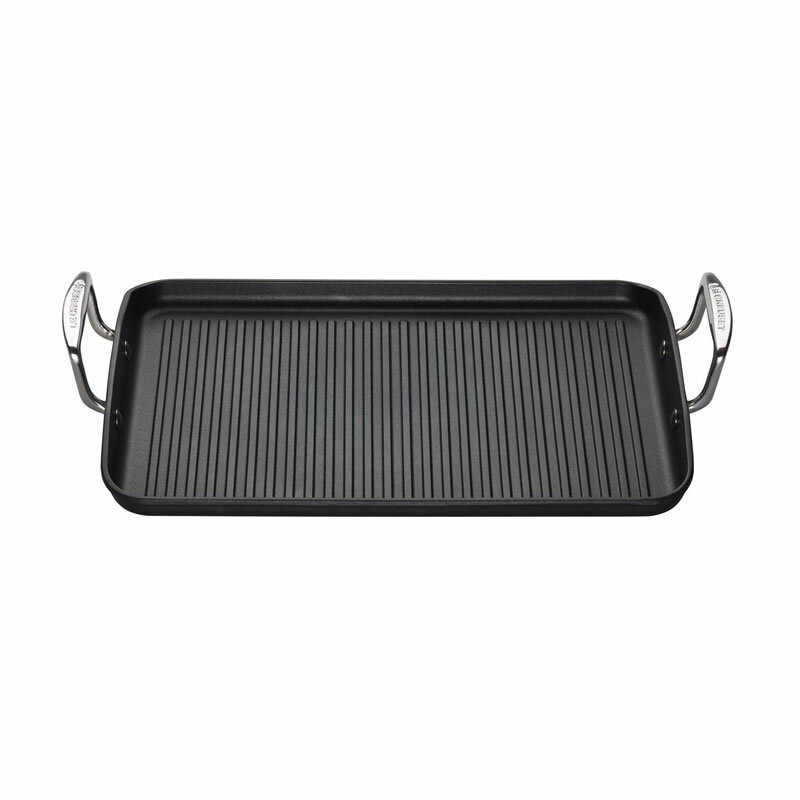 New to the Toughened Non-Stick range, the Toughened Non-Stick 35cm Ribbed Rectangular Grill is ideal for searing meat, fish or vegetables quickly, with little or no fat or oil, for delicious, healthy cooking. 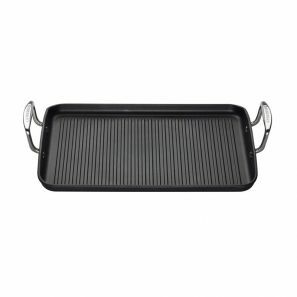 The ribbed base allows any juices and oils to drain away from the food, whilst giving professional-looking sear lines to your steaks, skewers and brochettes. The pan features professional-style cast handles attached with stainless steel rivets for a superior, secure fixing, and a helper handle is included for easy lifting. Suitable for all types of hob and is oven safe to 260°C.